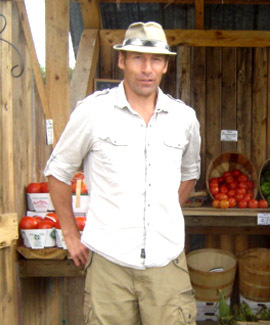 Located in the heart of Clarington, "R" Farm offers a large selection of farm fresh goods. 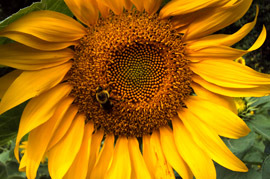 Our selection includes, local, natural, farm heirloom garden produce starting with fiddleheads in the early Spring. 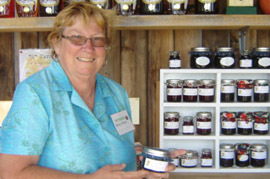 Through out the seasons we have special items like homemade jams, pickles and breads. 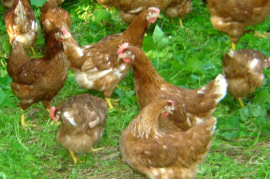 We also sell farm fresh eggs and free range meat chickens. Berty Gibson, is a retired school teacher with a wealth of skills including writing, gardening, sewing, parent counselling, tutoring, baking, but not housework. She often hosts great parties and events and fills the large, family home with fun. Berty is behind her son's vision for the "R" Farm, taking care of the paper work and organizational tasks. 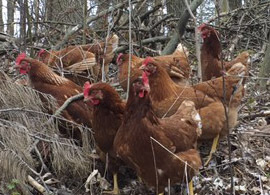 Since 2009 we have had farm fresh brown eggs from our free range chickens. 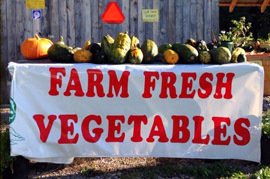 We sell not only during the "R" Farm market hours, but we keep a fair amount of inventory year round. So visit us anytime for farm fresh eggs.